To apply the backsplash tile, dry run the tile layout on a separate piece of backer board for a diagonal layout like this , and make the cuts for the tiles immediately below the cabinets. 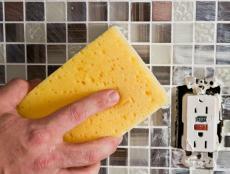 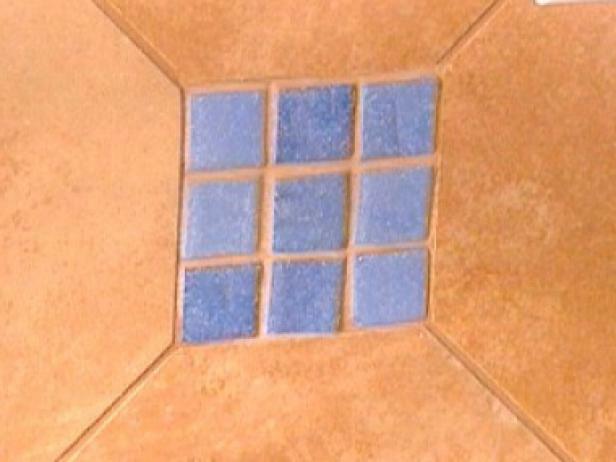 To cut the backsplash tile on a diagonal, use a speed square and cut from corner point to corner point. 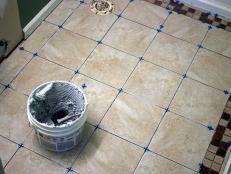 Cut only as much diagonal tile as needed. 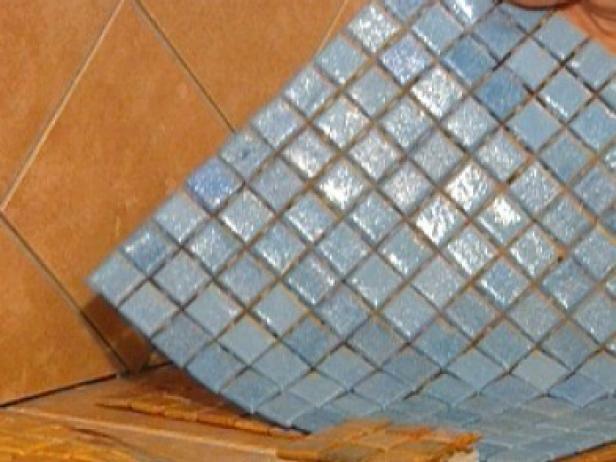 The backsplash tile for this particular project was 6"x6" — so after being cut on a diagonal, each piece measured 8-1/2" diagonal point to diagonal point. 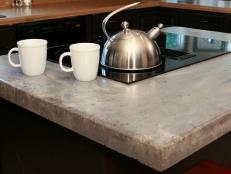 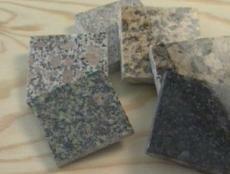 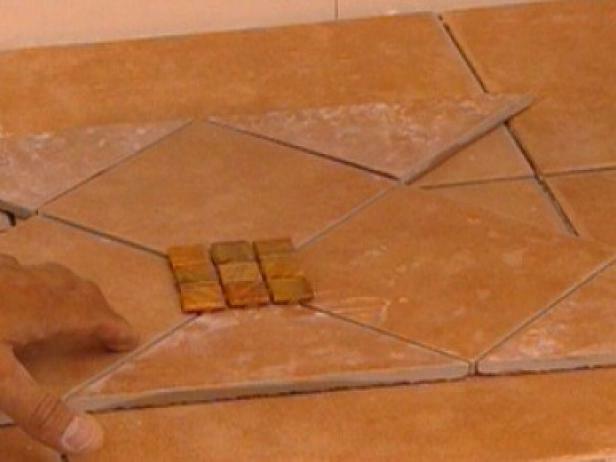 This means that Paul only needs about 1-1/2 diagonal pieces per foot of backsplash. 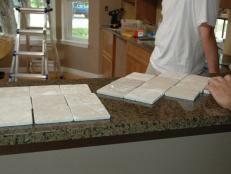 Once the majority of the backsplash tile has been cut to fit, apply the thin set. 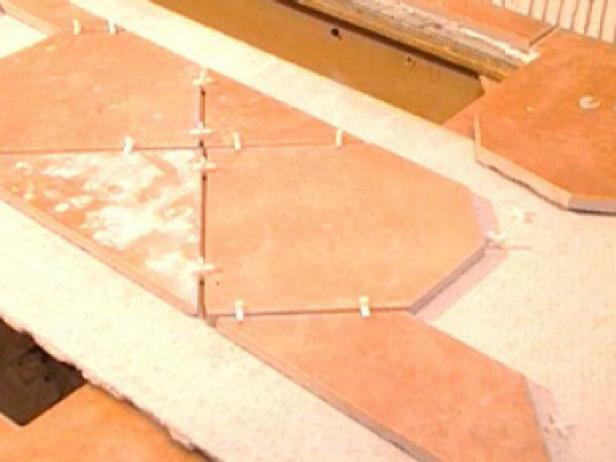 When you come to the edge of the layout and need extra support to hold the edge tiles in place, use nails lightly tapped into the wall to temporarily hold the tiles in place while curing. 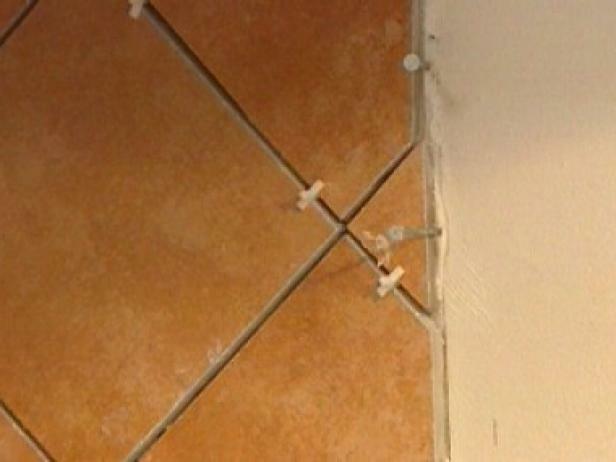 Also, 1/8" spacers were used for the backsplash. 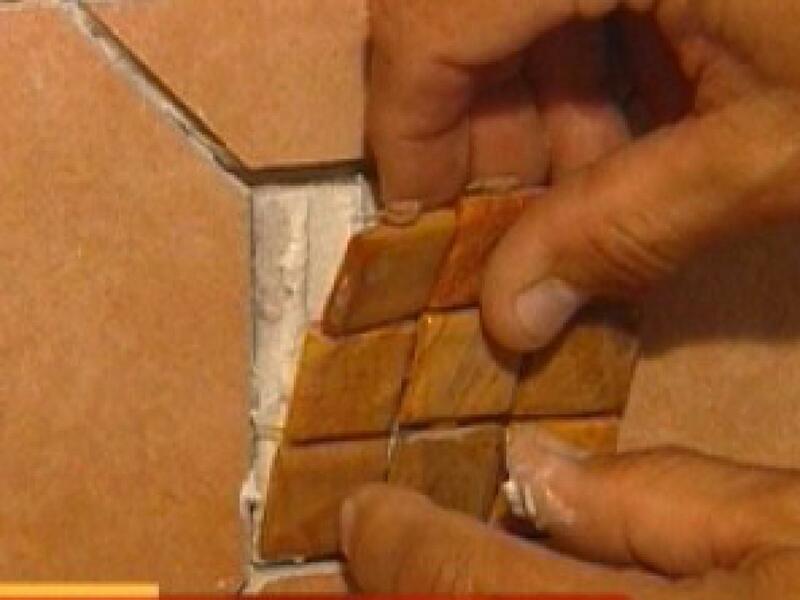 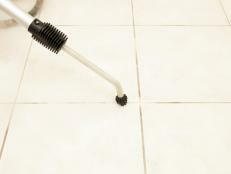 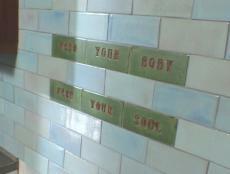 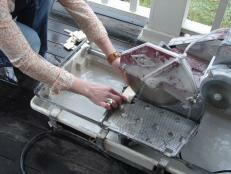 To install the window frame tile for a small area, back butter the tile with thin set since the trowel can't fit. 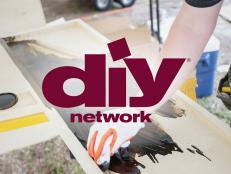 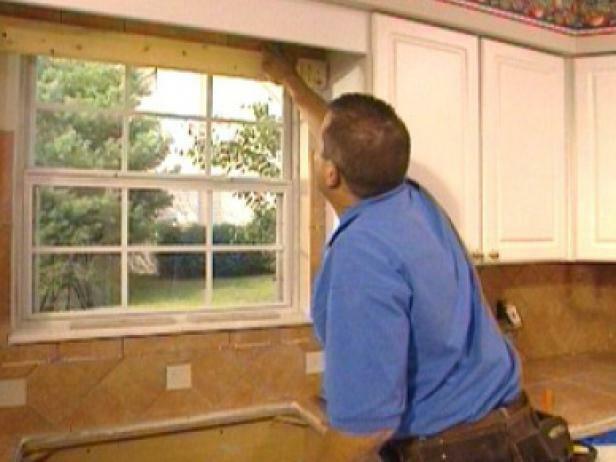 For tiles above the window, support them with a ledger (2" x 4' or other straight lumber) nailed or screwed to the wall. 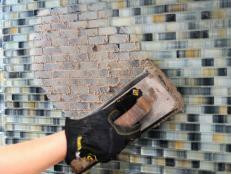 Cut the glass tile from the 12" x 12" sheet in the width needed for the window. To install the glass tile inserts, build the glass tile inserts out by attaching the glass tile to a pre-cut piece of backer board because the field tile is thicker than the glass tile. 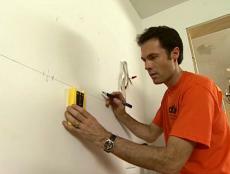 Attach that piece to the wall with thin set.